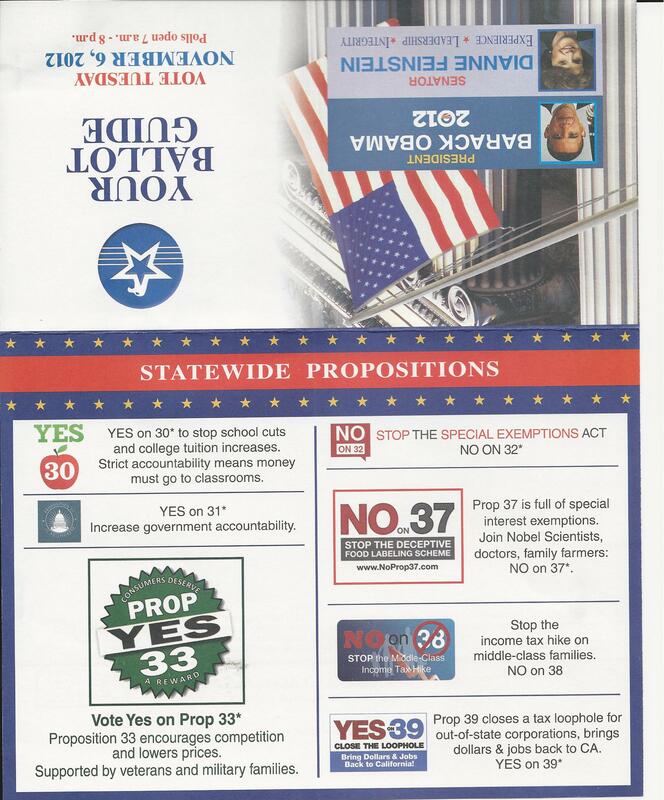 A couple more slate mailers rolled into my mailbox yesterday. 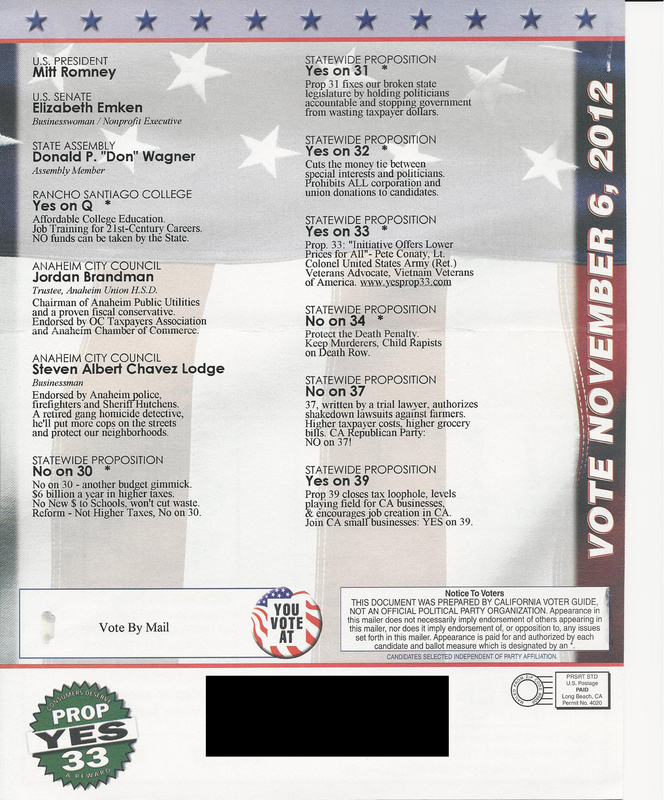 The Cal Voter Guide and the Democratic Voter Guide. I always find it interesting to see who buys onto the different slates. 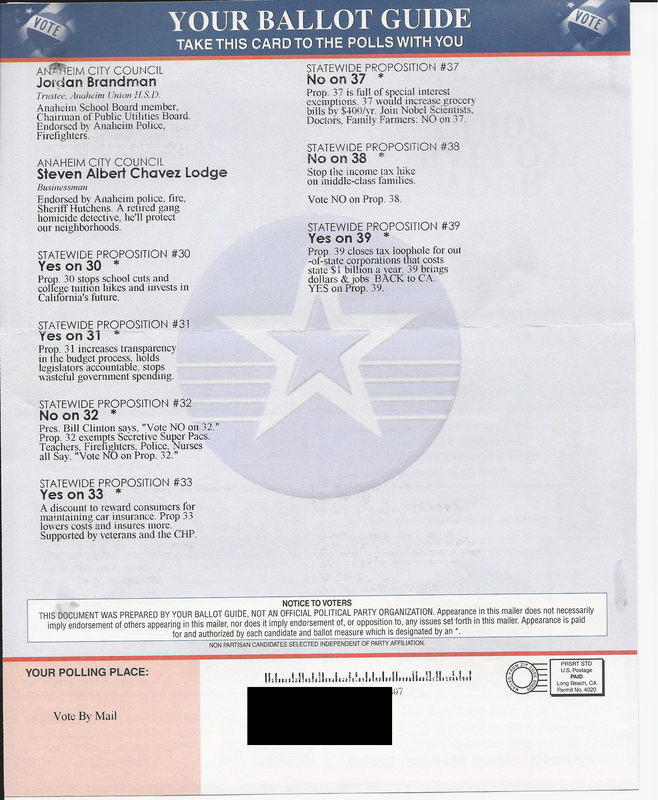 See what you think about those that are on the Republican vs Democrat mailer. 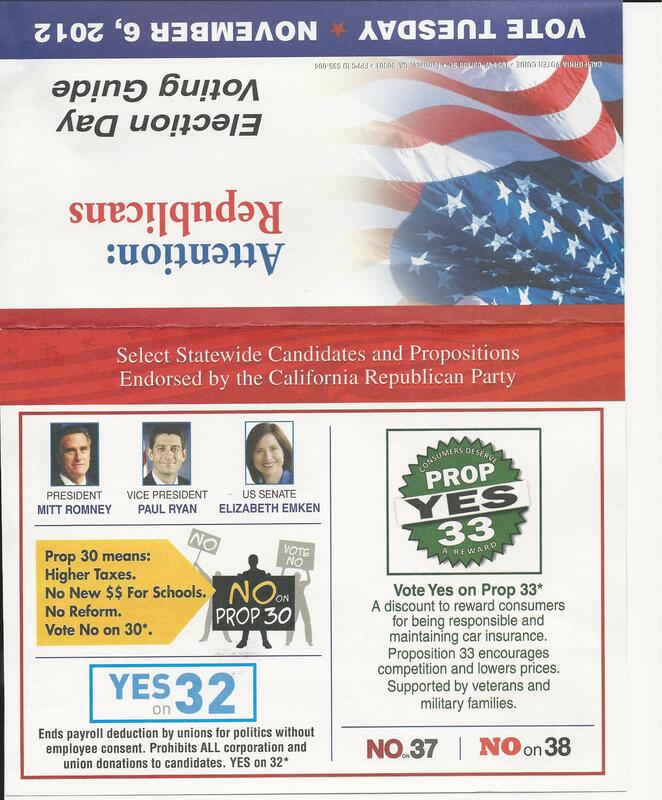 This entry was posted on October 25, 2012 at 8:36 PM	and is filed under California, Mail. You can follow any responses to this entry through the RSS 2.0 feed. You can leave a response, or trackback from your own site.